Trying to get your hands on our delicious vegan treats? We don't blame you! 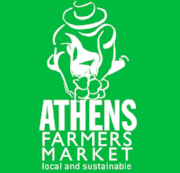 You can currently find us at farmers markets and coffee shops in the metro Atlanta area as well as several pop-up markets and events throughout the year. Check out our calendar below to see where we'll be next! Want to place a custom order for pick-up or delivery? Contact us and we'll respond as quickly as possible. Are you interested in carrying our baked goods? If so, chat with us at 229-563-1549 or send us a message.